Comedy often splices into other genres to create hybrid genres. 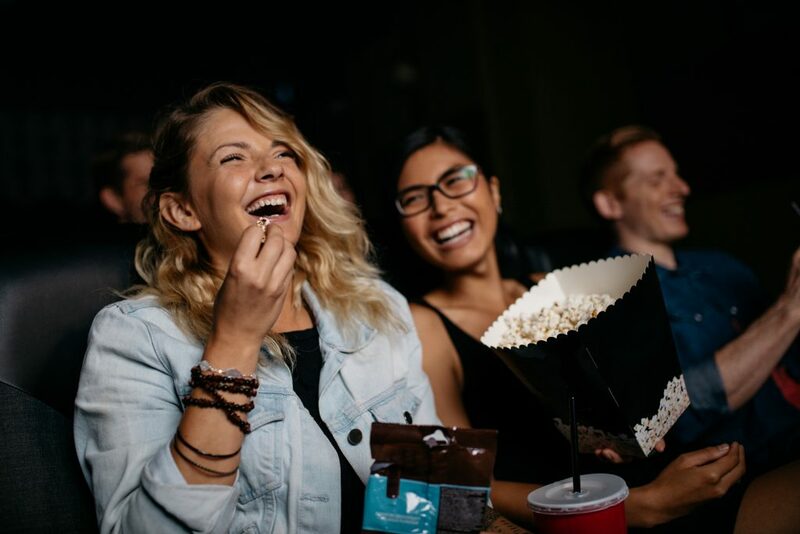 From romantic comedies to political satire, comedy can be injected into pretty much any film genre to create a brand-new sub-genre with its own fanbase all on its own. One of the earliest comedy films was a slapstick comedy. One of the Lumiere Brother’s – two of the earliest filmmakers in history, who patented an improved cinematograph – first films was a comedy piece called The Sprinkler Sprinkled. First screened in 1895, this silent film showed a man watering in the garden with a hose, a boy stands on the hose to stop the flow of water and when the man inspects the nozzle to see what’s happened, he is soaked by the young prankster when he removes his foot. Physical comedy was necessary for an era that relied on visual storytelling, given the technical limitations of film at the time. This era gave rise to the world renowned, silent film star: Charlie Chaplin. Chaplin revolutionised slapstick by self-directing and creating his own comedy films. He had a unique style that involved walking around an environment until something natural occurred, as opposed to creating something artificial. Chaplin is considered to be one of the most important figures in the history of the film industry. With the advent of sound into film making, slapstick declined as comedy films decided to rely more on witty dialogue to create humour. However, physical comedy eventually resurfaced, and we even have what could be considered our very own modern-day Chaplin: Rowan Atkinson. Atkinson’s creation and performance of the beloved character Mr Bean re-sparked a forgotten love the British public had with physical, slapstick humour. This character has had his own successful television show, an animated series and two feature films. Atkinson then went on to star in a series with three feature films, Johnny English, which also utilises physical comedy and slapstick humour. Dark comedy, or black comedy, is a style of filmmaking that makes light of serious subject matters that are considered taboo; the intent is for the audience to experience both laughter and discomfort. Some of these films will attempt to shock their audience with unexpectedly humorous takes on a serious subject. A great example of the use of dark comedy is in the final scene of the 1979 film Monty Python’s Life of Brian. Following the life of a Jewish man in Biblical-era Judea, he is mistaken for the Messiah and ends up in a mass crucifixion scene where a group of men are slowly dying on crosses whilst they cheerfully sing along to ‘Always Look on the Bright Side of Life’ to pick up their spirits. This subversion of a serious and rather grim scene being made light hearted with a cheerful song creates humour from the unexpected juxtaposition. Clearly it was not funny to all, however, as this film was banned in several countries. Rom-coms are still technically classified as films with two separate genres and not a new hybrid. However, they have become so prolific within the film industry that many people would classify films in this way and would not view them as entirely comedic or entirely romantic. Romantic comedies are often light hearted and centred around a romantic idea such as true love overcoming obstacles or two people who are completely unsuited to each other realising they’re in love. They usually feature some kind of break up or conflict that is resolved by the end of the film for the romantic, fairy-tale ending. These films have existed for decades but became truly iconic in the 90s with the likes of Notting Hill, She’s All That, 10 Things I Hate About You and Picture Perfect. However, these films still continue to dominate the cinema scene with recent editions such as Love, Simon, The Big Sick and Crazy Rich Asians. Parody films, or spoof films, are a sub-genre of comedy that relies on parodying other types of film genre. These kinds of films are often overlooked by critics but are commonly profitable at the box office. Some of the most famous examples include Hot Fuzz, a comedy film that parodies American action films whilst being set in a sleepy English village; Johnny English, a James Bond parody where the protagonist is too clumsy and naïve to be the James Bond type he wants to be. Another is Airplane, widely considered to be one of the best comedy films of all time, this film is overflowing with visual gags and one-liners and brilliantly parodies 1970 disaster films as a troubled ex-pilot is forced to land a plane after the pilot collapses from food poisoning. Today, you can find comedy dominating the box office with no sub-genre off limits. Comedy has evolved rapidly over the decades, and there’s no telling what the next big move for the comedy genre will be. If you’ve had a go at creating your very own comedy films on cine reels, you can do a cine film transfer onto the likes of DVD or MP4 to preserve those precious memories.